Do you have a Will that was prepared in 1985? Do you have a document that authorizes someone to act for you whom may no longer be capable of acting on your behalf? Many individuals had their estate plans drafted many years ago and may have even forgotten what they put in it. The estate planning attorneys at The Elder Law Firm PC encourage clients to relax and not worry about their Estate Plans — but to be mindful that as time moves forward and circumstances change, so should their Estate Plan. A Will is still valid even if it is old and outdated as long as it has not been revoked, lost or destroyed — usually a lost or destroyed Will is assumed to be revoked. We have seen situations where a Will was drafted more than 50 years ago and with no evidence of the document being revoked — the 50-year-old document was still valid and used to determine who receives from the estate. In certain circumstances, the intent of the maker of the Will is still satisfied even though many things have changed; however; differing circumstances can create necessary changes that need to be reflected in one’s estate plan or else those circumstances will destroy the testator’s intent. Prime examples of important changes in life that necessitate a change in one’s estate plan occur with the birth or death of a beneficiary; the death or incapacity of one’s nominated Personal Representative; or more common, second marriages. If you feel like your estate plan may need to be updated, there are opportunities to have your estate plan and personal circumstances reviewed for no charge. Our firm offers a FREE No-Obligation Consultation to review old estate plans and to review options for updating those plans. With this no obligation consultation is a chance for a family to learn if their documents still do what they intended them to do. One hour today could save your family numerous hours of confusion later, especially if they need to interpret a document that has grown out of date. 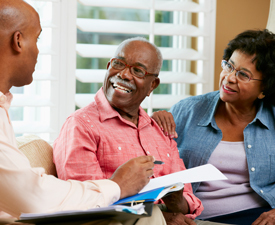 Michigan Elder Law Attorneys at The Elder Law Firm PC provide assistance in protecting your assets and protecting your family through trusts, wills and estate planning. 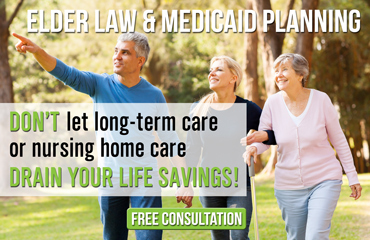 Contact us by calling 877.960.5233 or by requesting a free consultation online here.